How did the scion of a renowned beer-brewing dynasty end up in the wine business? By employing the same pioneering spirit as her great, great grandfather and applying it to her own dream. A descendant of Colorado beverage trailblazer, Adolph Coors, Christi Coors Ficeli (member of our 2018 ‘intriguing people’ list) set her sights on the Napa Valley and found a home at Goosecross Cellars, just off of Napa Valley’s Silverado Trail on State Lane. Coors Ficelli’s first taste of the wine industry was at Gallo where she learned the basics of production, distribution, promotion, and sales. 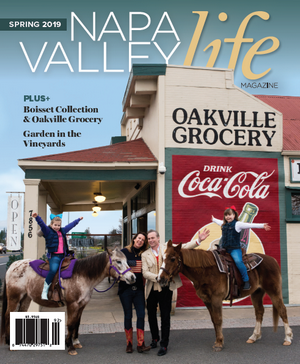 Gallo is also where she met her husband, wine industry executive, Dave Ficeli. 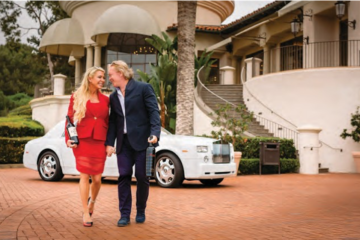 The two took jobs in Napa in 2002, where they fell in love with the bounty of the region, and determined they would one day settle. 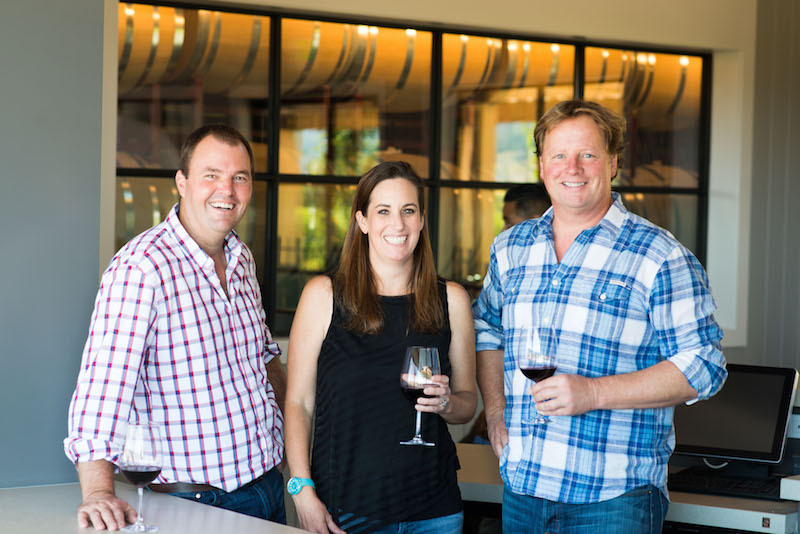 Nearly a decade later, Coors Ficelli’s dream of planting Napa roots took hold when she discovered Goosecross Cellars (named long ago for a pair of wayward geese who made the site their home) – a well-established boutique winery estate sorely in need of refurbishment. 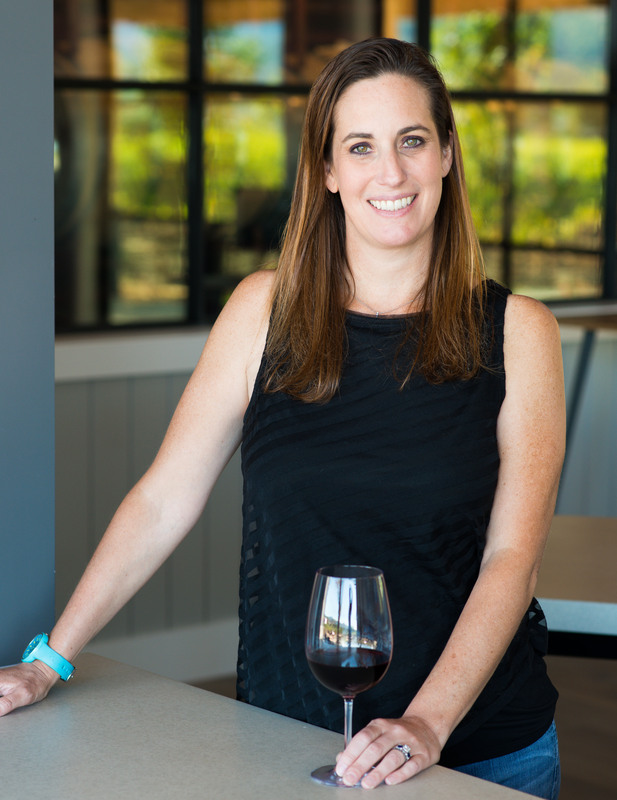 She acquired the Yountville property in 2013 and transformed the place from top to bottom; it’s now a wine country jewel, featuring a stunning visitor center with sweeping views of the Napa Valley floor. 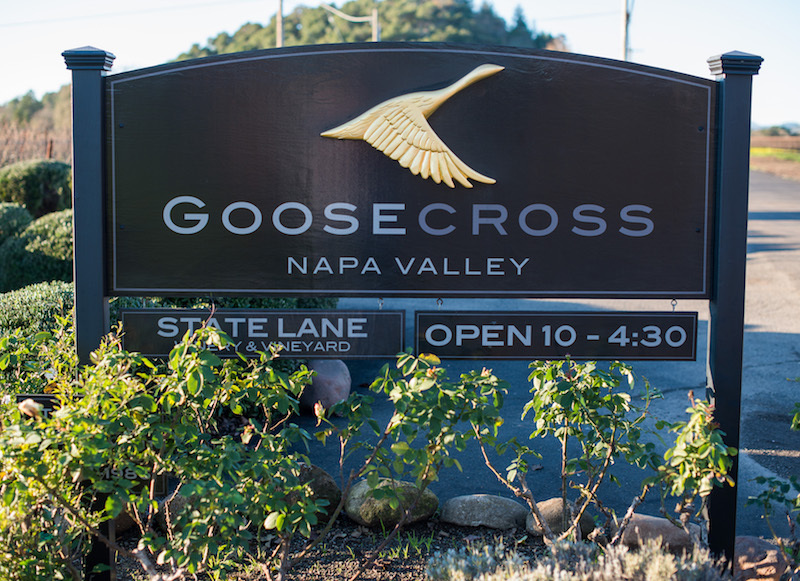 She hired highly regarded veteran winemaker Bill Nancarrow whose combination of natural artistry and deep knowledge of the exceptional Napa Valley terroir make him an invaluable part of the Goosecross team. Nancarrow (playfully dubbed ‘Duck, Duck, Goose’ by Ficeli due to his former executive winemaker position at Duckhorn Wine Company’s varied Napa properties) hails from New Zealand and brings a distinctive winemaking style and considerable skills to the winery’s single varietals as well as their innovative blends. 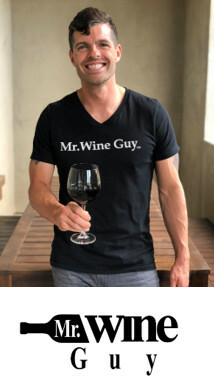 He recently released his 2014 vintage varietals – a Goosecross milestone – his first vintage from dirt to glass, representing not only his and Ficeli’s winemaking philosophy but also their sustainable farming practices. 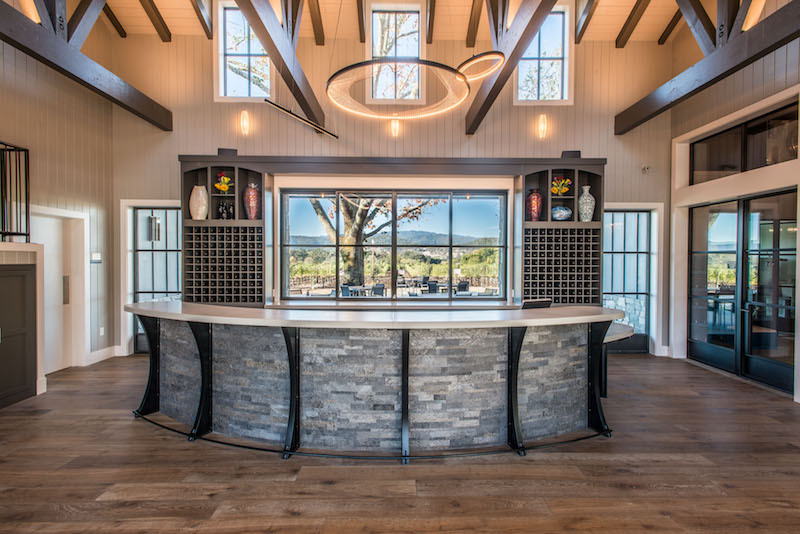 Goosecross Cellars’ 700 square foot tasting room and visitor center, designed by Chuck Peterson Architects of Santa Rosa, is reminiscent of classic Napa Valley barn styles, and takes full advantage of its pristine setting by bringing the outdoors in. Architectural features include a soaring ceiling with contrasting wood trusses, a stunning concrete bar flanked by natural stone, and a contemporary, three-ringed chandelier. Two French doors lead to an inviting outdoor deck, where guests can unwind in Adirondack Chairs under the shade of the winery’s hallmark oak tree which was carefully preserved during construction. Pocket windows on the back bar open up to frame the beautiful views of the vineyard and Mayacamas Mountains and allow wine service to visitors from the exterior deck. 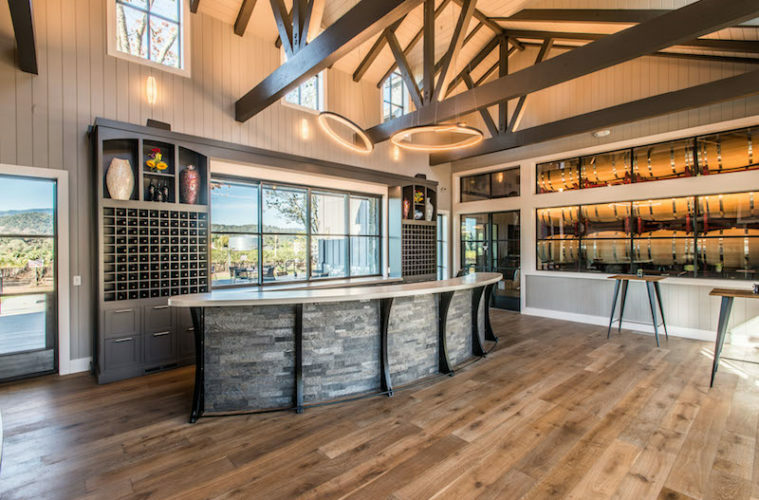 The adjacent 3500-square foot winery building is framed in metal and echoes the style of the tasting room. The interior, designed in consultation with Nancarrow, houses ten 1500-3000 gallon fermentation tanks, plus plenty of open space for small lot winemaking. The overall design also allows Nancarrow the flexibly to expand his portfolio offerings in the years to come. 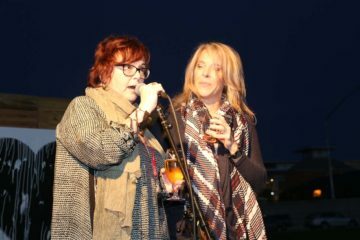 Goosecross: 1119 State Lane, Yountville, California. 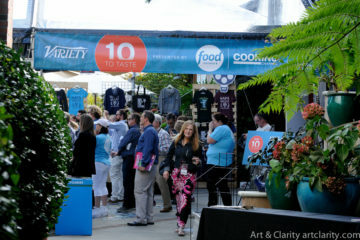 Tasting room open by appointment from 10:30am-4:30pm daily.